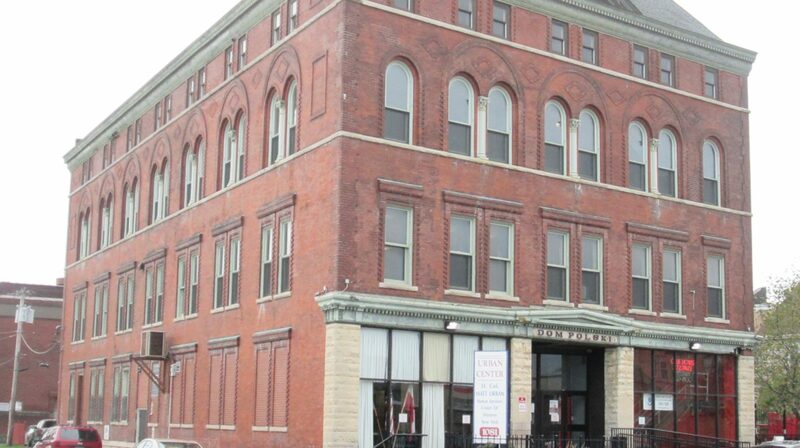 The Matt Urban Center worked with Laurie Hauer-LaDuca (Architect), Savarino Companies (Construction Manager), and Janet Meiselman of Oxford Consulting, to submit grant applications and build this apartment building for homeless women in East Buffalo. The newly constructed building opened in December 2014 and allows us to assist the homeless population in Buffalo with housing and support services at Hope Gardens. Elliott Liebow completed a 10 year research project that was later turned into a book: “Tell-Them Who I am: The Lives of Homeless Women.” His research and book cited that chronically homeless women have unique needs that are different from chronically homeless men. While men may do well in a dormitory setting, women do very poorly in this setting, and do not respond well to institutional controls. In fact, a study by Novac, Brown and Gallant report that there is a direct relationship between homeless women and the physical and sexual abuse that homeless women have experienced in their lives. The study also revealed that women, particularly chronically homeless women, do poorly living in an environment with tight institutional controls. Instead a home-like setting where they have their own personal space is vital to the success of a program. While Liebow’s study focused on shelters, we may glean philosophical aspects when designing the program for this permanent supportive housing program. The first floor houses offices, a kitchen/dining room large enough for 20 individuals, a laundry room, art studio, community living room, computer lab/library and a conference room and a small private office (for counseling clients) and five studio apartments. The second floor will have fifteen studio apartments. There will be two staircases and one elevator. Each apartment will have a small bedroom area, living area, small in room kitchenette and bathroom. In the United States, the homeless population is on any given night to be 744,313 (HUD). In Buffalo, on any given night there is an estimated 2,100 homeless individuals or families who are homeless. It is estimated that the chronically homeless represents 18% of the homeless and women represent about 48% of the homeless. Based on these numbers and percentages, chronically homeless women account for approximately 180 homeless in Buffalo.